Hey guys! 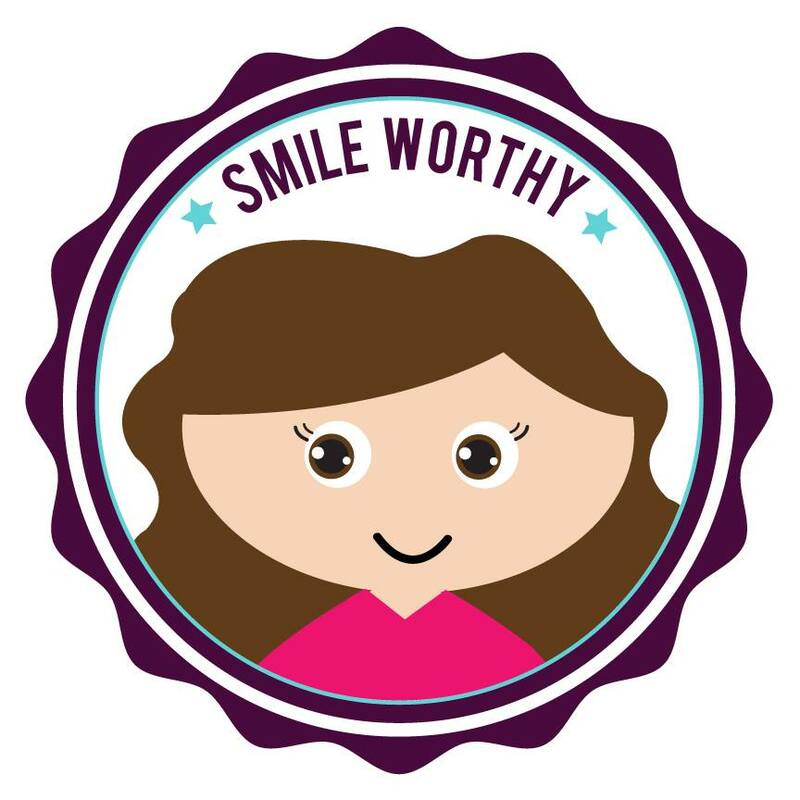 I’m so excited to share with you a new development in my life. I have movie friends! Not just all of you lovely readers but actual friends who are as into movies as I am! Recently I became friends with 2 movie buffs Phaedra Johnson and Stanford Clark. They are totally awesome and you should check out their blogs. I have been to many movies with one or both of them and had a great time. They will even see obscure animation with me like My Entire High School Sinking in the Sea! And they both love Your Name as much as I do!! We have decided to start up a Utah Movie Club where each month we get together and watch a film together and yesterday was the first meeting. Phaedra couldn’t make it but hopefully she will soon and it will continue to grow. 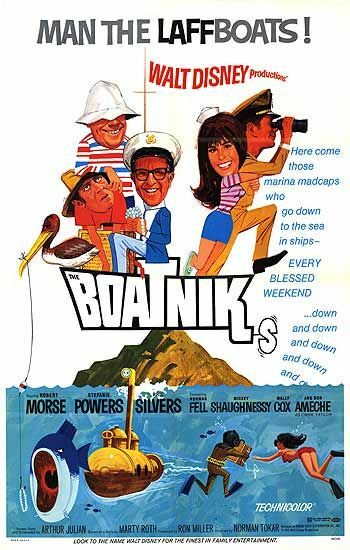 This month we decided to watch the Disney comedy The Boatniks. It was based on my suggestion as I had recently seen it and thought it was charming. It seemed like a good fit to start off summer. In many ways the Boatniks feels like a comedy from a forgotten era. Now I rarely go to comedies because they are so raunchy and crass that they don’t interest me. Just this summer alone there are 6 hard R comedies. The Boatniks has a few adult moments but is still something I would have no problem watching with my family and having some laughs. The Boatniks is about a marina in Southern California that is managed by the US Coast Guard. Things get nutty when 3 jewel thieves and try to take their contraband to Mexico and have tons of problems getting a boat. Crazy shenanigans begin! There is also a new recruit named Tom Garland who has one mishap after another- all while trying to charm a local boat renter named Kate. 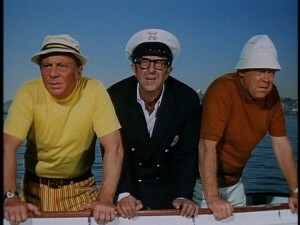 The highlight of the Boatniks is the jewel thieves played by Phil Silvers, Mickey Shaughnessy and Norman Fell. I especially love Phil Silvers who I think could read the phone book and make me laugh. They go through about every kind of boat, plane and even submarine you could imagine trying to get those jewels to Mexico. 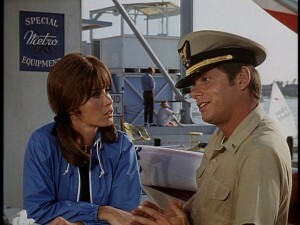 I also thought Stephanie Powers and Robert Morse were charming as Tom and Kate if a little bit forgettable. 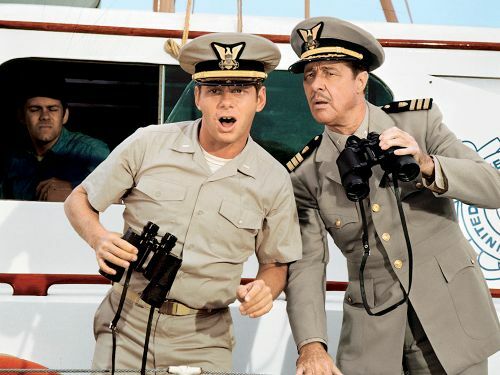 Don Ameche is also hilarious as Tom’s exasperated commander. The Boatniks is on a sitcom level of entertainment. It’s not reinventing the wheel like say Monty Python might but it is a charming comedy nonetheless. 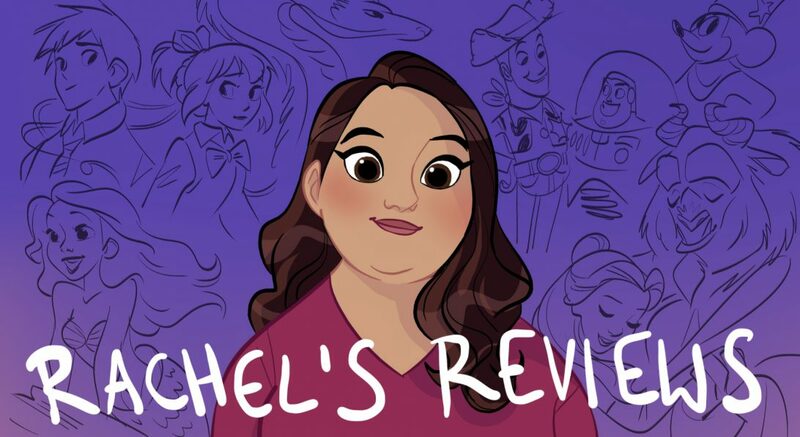 Watching it made me yearn for the Disney comedies of old where you could watch and enjoy them together as a family and have a great time together. At the very least it is worth seeing for Phil Silvers who owns every scene he is in. So much fun! Thanks for the shoutout, too!